The Portable, Reusable, Fold-Out Safety Station. SafetyPoint is a fold-out safety station, loaded with the necessary first aid and safety equipment to enable your first response. Protect your people, your business, your reputation. 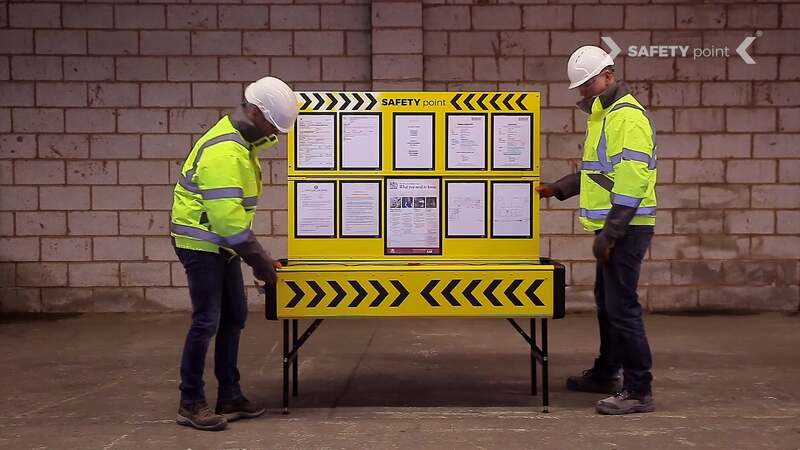 It takes just 60 seconds to deploy a SafetyPoint safety station, loaded with the appropriate first response equipment for your site and the Health & Safety notices you want to display. SafetyPoint is designed to be portable, reusable and deployed in under 60 seconds by two people. After use, SafetyPoint folds back down for easy storage or transportation to another site. Watch the video to see how simple it really is. The practical solution that provides the assurance you seek and demonstrates regulatory compliance. SafetyPoint has been designed to be deployed by 2 people in under 60 seconds. No need for forklifts, SafetyPoint can easily be moved around your sites and locations. 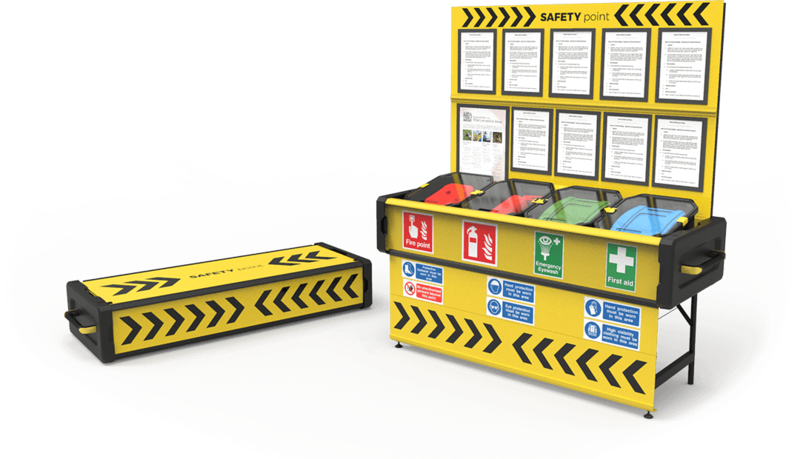 Choose the Safety Equipment Pods you need and insert your Health & Safety notices to meet the sites needs. 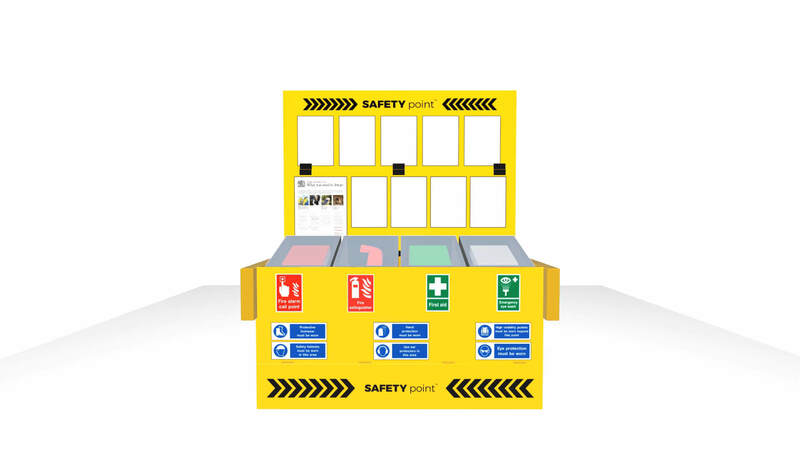 Unlike many safety stations made onsite, you buy SafetyPoint once and then you can reuse again and again. SafetyPoint provides a single location for the first response equipment to protect your people, your site and your business reputation. Who Can Benefit From SafetyPoint?